The Small (6" x 6") Eyeglass, Sunglass, and Touch Screen glass cleaning cloth by MobiCloth wipes smudges off of cell phones, iPhones, tablets, iPads, computer screens, watches, and glasses. 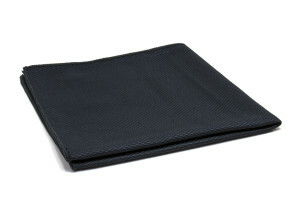 One swipe of the microfiber glasses cloth and you have a clean and clear surface to view. Stash a sunglass cleaner cloth in your car, desk, or purse for everyday use! Purchase these suede glass cleaning cloths in one of six colors online here!